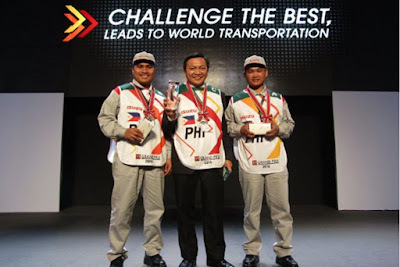 Filipino talent shone once more on the global stage as the team fielded by Isuzu Philippines Corporation (IPC) to the 11th Isuzu World Technical Competition, known as the I1 Grand Prix (GP), secured the leading spots in the event’s categories. The I1GP is where technicians coming from the different Isuzu subsidiaries and operations worldwide converge so they could showcase their skills and capabilities. Following a competition format, I1GP allows participants to directly measure their performance on a level playing field against their best peers from around the world. 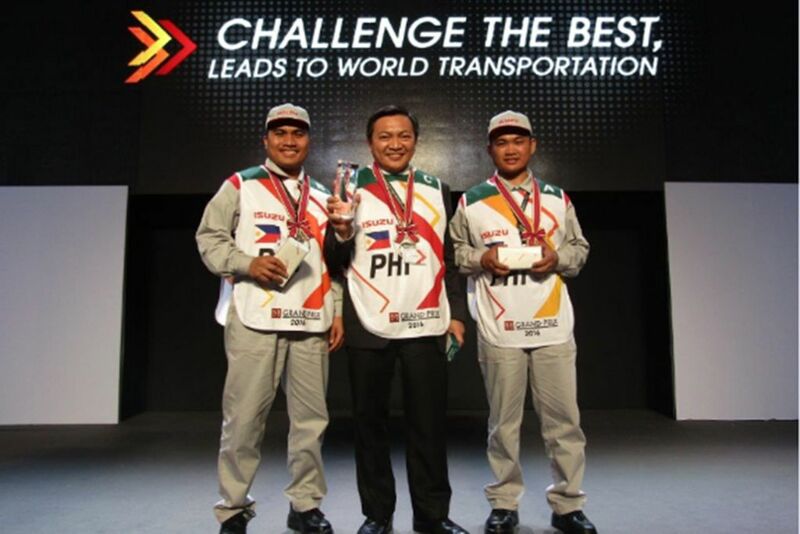 During the event’s leg held on November 3 at the Impact Arena in Bangkok, Thailand, the Philippine contingent scored 207 points to hold off the challenge posed by the homegrown team to clinch the second spot in the Light Commercial Vehicle (LCV) Division. Thailand managed a score of 199 points, settling for third place, while Indonesia topped the division with a score of 227 points. Composing the IPC group that competed in the LCV class were team coach Bong Corocoto, IPC Assistant Section Head for Technical Service, and technicians Jumar Venano from Isuzu Pasig and Charlie Belano from Isuzu Alabang. At the I1GP competitions held on December 1 at the Isuzu Monozukuri Training Center in Kanagawa Prefecture in Japan, the IPC contingent successfully stepped up to the last podium spot with a score of 123 points in the event’s Commercial Vehicle (CV) Division. The Filipino team landed behind those from Colombia, which scored 128 points, and Indonesia, who had 158 points. The Philippine team that competed in the CV division were comprised of technicians Crispin Maldonado of Isuzu Pasig and Erwin Cartagena of Isuzu Cabanatuan. Serving as coach was IPC Assistant Section Head for Training Nap Marquez. 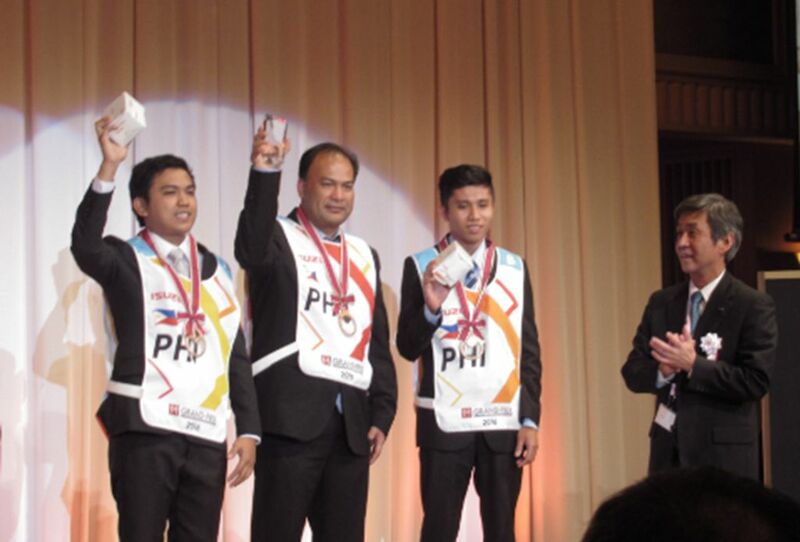 “The performance of the Isuzu Philippines technicians at the 11th Isuzu World Technical Competition should erase any doubt regarding the competence of the IPC workforce — these people are definitely world-class. While the results reveal that there is room for improvement, the consistency that Team IPC has demonstrated in this global annual competition also shows that the training IPC technicians receive is capable of setting the standards for Isuzu’s international operations,” IPC President Hajime Koso said. GUD eve po..bumili po kmi ng MUX (suv) sa ISUZU cabanatuan.. nung Feb 22 kasalukuyang taon.. at napansin po namin na ang hood at bobong ng aming sasakyan ay madaming dot na pagtiningnan mabuti at maliliit na kalawang..
ng ounta po kmi sa isuzu cabanatuan at ang sabi don ay dipende daw sa manufacturer kung papalitan ang aming sasakyan.. or kung gagawin lang.. gusto po kase namin ng replacement.. dahil.. kabago bago palang bakit kinakalawang na..ibig sabihin substandard ang pag gawa..at kung pipinturahan lang nila ulit.. edi may kawalang pa din at lalabs at lalabs ang kalawang nito pag ng tagal.. at nabangit ko po sa knila ang lemons law.. sabi pg daw ng demanda kami or ng report sa DTI matatalo lang daw kmi..
kaya irerepair nalang daw...sabi ko di kmi papayag na irerepair lang eto,,dhil once na kinkaklawang ibig sabihin substandard .. sana po matulungan nyo po kami.. kase napaka hirap po mg hulog monthly tapos ganon po maibebenta samin..
at ung sabi nung nsa warranty ,na dapt daw chineck nmin un bago namin nilabas sa CASa.. brand new nilabas namin.. so sympre mg eexpect kmi ng GOOD quality.. at bakit wla ba kau quality assurance / quality control ..
ung sinasabi knina na baka my ng welding at nailansikan ng welding.. nakakatwa naman na pag ikaw ba my sasakayan ,,.tatapat mo sa my ngwewelding?? at ung mga dents.. un.,., pano ipapaliwanag ung kung talgang hindi sub standard unit ang napunta samin..